Have you experienced a moment in your life when something suddenly came into focus—an “eye-opening” or “Aha!” moment? An experience in which you started to see things as they are, not as you’d like them to be? It’s likely you’ve had a number of such experiences. My last post focused on how you can use the first lever in work with dads. (Click here to read my post on elevation.) This post focuses on the second lever, insight. That, in a nutshell, is what a good fatherhood curriculum does. Its design and content help dads rewire their understanding of themselves as men, dads, and husbands/partners. And it not only has a decades-long impact on fathers. It impacts their children and generations to come. Watch the short video below to see the insight a dad gained after participating in the fatherhood program of the Housing Opportunities Commission of Montgomery County (MD), which uses the 24/7 Dad® program of National Fatherhood Initiative® (NFI). When we train on one of our fatherhood programs, we spend most of the time observing participants facilitate portions of the program. This part of the training includes time for them to prepare to facilitate their portion. Before we turn them loose to prepare, we give them tips on how to effectively facilitate it. 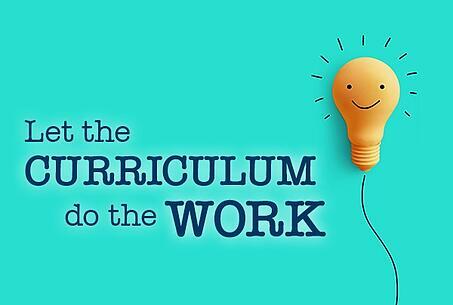 Let the curriculum do the work! The most effective facilitators of any NFI fatherhood program allow the curriculum to rewire dads. They understand that we “engineer” our curricula to cause dads to “trip over the truth.” They understand that when they deliver the sessions in order, cover the content in each session, and follow the procedures for each activity, the curriculum helps dads to see the hard, broad truth that they need to become better men, dads, and husbands/partners. It also helps them see other hard but more specific truths, such as how they often cause or play a major role in the communication problems they have with the mother(s) of their children. The best facilitators listen a lot and talk very little. When you apply the first tip, it’s easy to apply the second tip. When you let the curriculum do the work, you’ll listen a lot and talk very little! Look for more posts on how to use defining moments in your work with dads. Do you let your fatherhood curriculum do the work?